Identity theft continues to be one of the major growing crimes in United States nowadays, and places a large burden on victims, businesses, non-profit organizations and government institutions, especially when filing tax returns to the Internal Revenue Service (IRS). Tax-related identity theft happens when somebody uses your stolen Social Security number to file a tax return claiming a fraudulent refund. Usually, an identity thief will use your SSN to file a false return early in the year. You may be unaware you are a victim until you try to file your taxes and learn one already has been filed using your SSN. Identity theft is a top priority for the IRS. They have already taken aggressive action to protect taxpayers and aid victims, with more than thousands of employees assigned to work on identity theft related situations. They also train employees to recognize return fraud and to help victims when it happened. Because of this, the IRS prevented $14.6 million suspicious returns, and protected more than $50 billion in fraudulent refunds from 2011 to November 2013. You can't prevent tax-related identity theft because we are all vulnerable, but here are ways on how to reduce your chances of being a victim. 1. Safeguard all your personal information in a secured place at home and at work such as a safe with a locked combination. Don't leave it lying around. 2. If you wish to file by mail, do it at a post office, not from an unsecured mailbox in front of your house. 3. Use a secured computer on a protected network if you wish to file electronically. Remember not to do anything financial or tax-related on public Wi-Fi networks. 4. Beware of phishing scams. Phishing includes seemingly harmless emails being sent to you, asking you to verify certain things such as passwords, account numbers or credit/social security details. Any email looking for this kind of information must be an immediate red flag for you. Avoid opening emails that doesn't make sense to you or that comes from people or organizations that you don't know. It might be possible that they include viruses or worms. Remember that the IRS doesn't begin contact by email to specifically ask for your personal or financial information. 5. Protect your social security number. Don't carry your Social Security card in your wallet or purse. Only carry them with you unless you are going somewhere where it will be absolutely necessary. Don't forget that identity thieves only need a social security number and some fake documents. It is much easier than selling drugs or stealing cars. 6. Tear up or shred any documents with identifying information on them. Don't just throw your old billing statements and other documents containing important information into your garbage. There are "dumpster divers" who are willing to go through old coffee grounds and rotten orange peels to get your data into their hands. Purchase crosscut paper shredder and completely destroy any piece of paper that has your credit card number, your social security number, or your bank account number on it. 7. Regularly monitor your financial accounts for there might be unusual withdrawals or credit card purchases. 8. Check your Social Security Administration (SSA) earnings statement every year. 9. Get your return done as early as possible. It really is in your best interest to file as early as possible. 10. Protect your computer. Some identity thieves now use advanced software to get your personal information such as login details and passwords. A strong and regularly updated firewall, anti-virus program and anti-spyware program will give most of the protection you need. Following are few easy tips made by Corliss Online Financial Mag that will help you move forward toward financial security and make your dreams become reality. The first step to finding common ground with your finances is to take time to talk about money. Define your values and goals together with your family and clarify the difference between needs and wants. Don’t wait for a financial crisis to happen. It is vital to instruct the children about the value of money and how to use it responsibly. With your established values, you are now ready to create a budget. There are some tools out there to get you started such as Mint or You Need A Budget (YNAB), but a Microsoft Excel document will probably do the job. Choose something that you are comfortable with and actually work for you. Set a time every month to check in and evaluate your goals as well as your progress. Make adjustments or improvements based on your situation. Lots of individuals in debt feel trapped and bogged down, but always remember that even small steps can have a dramatic effect on financial stability. Just pay small amount above the minimum payment each month. As little as $15-$25 more could help you pay off a credit debt five to ten years sooner. Assess with your employer. Several companies allow you to take money out of your paycheck pre-tax to pay for expenses such as health care. However, make sure that you only take out what you need. Due to compound interest, your money increases dramatically over time. A small contribution now can mean larger returns later. Consider the things that can have a huge effect on your life later on. Build an emergency fund, set up a life insurance policy, and open a 529 plan — defined by Corliss Online Financial Mag as a tax-advantaged method of saving for future college expenses that is authorized by Section 529 of the Internal Revenue Code — to begin saving for your children’s education. P&G confirmed they have finalized deals for 35 brands out of 100 that they are expecting to sell by 2016. The troubled company is also expecting to sell those brands that have collected a total sales in the USD 10 billion mark, contrary to the USD 8 billion it has previously announced. According to Jon Moeller, P&G's Chief Financial Officer, the brand divestitures could reduce their annual sales by as much as 14% -- a pretty big difference from the original 10% estimate loss in total revenue. Meanwhile, other officials of the company confirmed that those decisions are already the 'refined' version of their original plans and that they are only trying to consolidate their brand portfolio. Most of the brands shortlisted in its divestiture plans have already been sold on account of their low performance. But Moeller is quick to point out though that the brands they are selling are not necessarily weak ones -- they are just underperforming in the eyes of the management. P&G has previously sold its pet food brands along with a handful of laundry and beauty brands. According to experts, Wella salon and Braun appliances are next on the list. According to Corliss Online Financial Mag, the largest potential divestiture yet is the Duracell batteries to Berkshire Hathaway, owned by billionaire Warren Buffett. The battery maker reportedly generates USD 2.6 billion in revenue per year. Procter & Gamble's CEO Alan Lafley said in a conference that they expect selloff to be completed in 5 months. He added, "We have had a lot of interest in the assets we want to dispose." Corliss Online Financial Mag has previously reported Lafley announcing last year that P&G plans to concentrate on around 70 brands as a core group of the company. We all tend to get excited and go over budget amid holiday festivities but make a few smart moves now, and you won't get caught off guard by monetary misfortune this holiday season. Your halls are decked with tinsel and ornaments and your fridge is stocked with eggnog — and amid the holiday excitement, you haven’t looked at your bank account balance in weeks. You’re not alone. It’s easy to get caught up in festivities and forget about budgeting. But make a few smart moves now, and you won’t be caught off guard by monetary misfortune. Here are five money moves to add to your holiday to-do list. 1.) Invest in your future self: Contribute to your 401(k). In 2013, 42% of middle-class Americans said that it was impossible for them to pay their bills and still save for retirement, according to a Wells Fargo study. 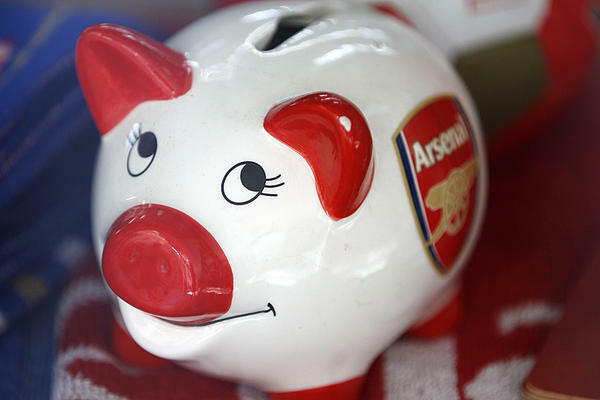 But even if you can’t get anywhere near the annual 401(k) contribution limit of $17,500, try to put aside as much money as you can, says Ken Stanley, a NerdWallet advisor from Harper Stanley Financial Services. “If you have the opportunity to contribute to a 401(k), especially if your employer is matching the contribution, please don’t leave any money on the table,” he says. Jonathan DeYoe, NerdWallet advisor and principal at DeYoe Wealth Management, adds that it’s important to re-evaluate spending at the end of the year and see if you can afford to contribute more. “Your future self is really going to appreciate your current self’s savings,” he says. 2. Protect your identity online. About 28% of shoppers say they prefer doing holiday shopping online rather than in a store to avoid crowds, according to a 2013 study by global information firm Accenture. If you’re planning to skip the long lines this month, do your best to keep your online information safe. Avoid looking at your online bank profile or making online purchases on public Wi-Fi. If you have lots of weak or duplicate passwords, now is a good time to change those. Monitor your credit card statements closely and report fraudulent transactions as soon as possible. 3. Give to charity – the smart way. If you have some excess income at the end of the year and you want to give back, donating before Dec. 31 can help you benefit from tax incentives. When donating, make sure your money is going to a worthy cause. Two-thirds of Americans don’t research the organizations they contribute to, according to a 2011 study by Hope Consulting. Check the Better Business Bureau’s Wise Giving Alliance to find out more about where your money is going. 4. Start thinking about taxes. Don’t wait until April to start thinking about taxes. For new parents or recently married couples, filing a W-4 before the holiday season could mean less tax withheld from each paycheck. That could make a big difference during the holidays, says Harry Krampf, a NerdWallet advisor and a tax expert at TaxVigilante.net. “It’s one of those things that people have direct control over,” he says. If you’ve seen some big changes this year, ask your employer about filling out a W-4. 5. Accidents can happen at any time – get covered. If you don’t have health insurance through your employer, now’s the time to enroll in coverage through the Affordable Care Act. Enroll by Dec. 15 for coverage that begins Jan. 1, 2015. If you choose to forgo health insurance this year, remember that you’ll have to pay a penalty, and in 2015, that will be more costly. Getting your financial life in order can be stressful, but once you’re done, you’ll be able to focus on what really matters. That makes all the budgeting, planning and investment worth it. More tips or any economic issue that will help you? Corliss Group Online Financial Mag is here to help you. Corliss Group Online Financial Mag is a stock-market education website designed to teach beginners how to trade shares. You can also visit our blog site for more update. 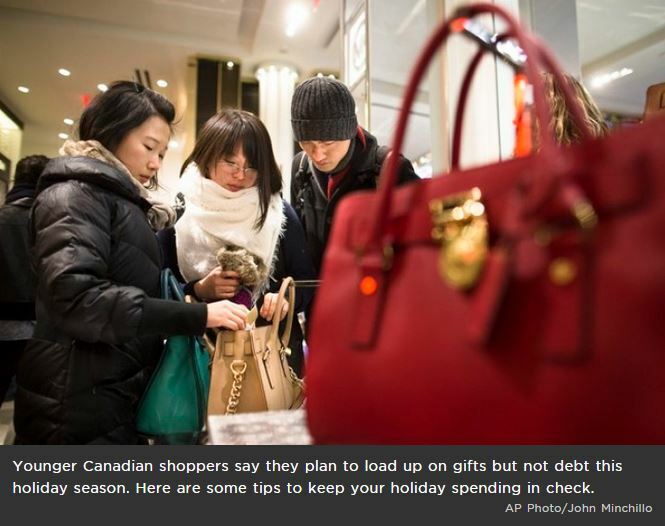 TORONTO – Younger Canadian shoppers say they plan to load up on gifts but not debt this holiday season. According to the annual RBC holiday spending intentions poll, while 94 per cent of those aged 18 to 34 said they are expecting to spend an average of $509.80 on gifts this year—up from $457.40 last year—over half say they plan to use cash or debit cards for their purchases while 18 per cent intend to use credit cards and pay off their balances. “It’s great to see these younger shoppers focused on managing their holiday expenses so they don’t have seasonal debts when the New Year begins – this is a wonderful gift to give to yourself,” said Maria Contreras, senior manager of savings accounts at RBC. Want to have a debt-free new year? Here are five financial tips for the holidays. Have a financial plan in mind (or on paper) before you start checking off your holiday gift list. This will help ensure you’re only spending what you know you can afford. Try to leave your credit or credit cards at home. By sticking to cash or debit cards, you can keep better track of where your money went. If you use a reward credit card in order to earn “points,” just make sure you budget accordingly and pay off your debt in full and on time each month. Count to 30 before impulse buying in a store; delay an online shopping decision by a few hours. According to the survey, 67 per cent of Canadian shoppers don’t have a budget that includes saving for holidays/gift expenses. By setting up an account dedicated to saving for special expenses, your savings won’t get mixed in with your day-to-day cash. By saving $10 a week, for example, you’ll have over $500 by year-end. Invest that money in a high interest savings account and you can save even more for your next holiday season. While Black Friday and Cyber Monday are likely to have some great sale discounts, coupons can also save you some money when it comes to shopping. If you’re shopping online, before you finalize your purchase, search the web for existing coupon or promo codes that can be used toward your item. You will be surprised how many external sites have promo codes that aren’t featured on the site you are shopping on. The survey found that Quebec shoppers intend to spend the least on gifts this holiday season ($360.30) while those in Atlantic Canada and Alberta intend to spend the most ($700.90 and $699.70 respectively). You want more economical related topic? Just visit Corliss Online Financial Mag. Our site is a stock-market education website designed to teach beginners how to trade shares. Corliss Group Online Financial Mag does this in a manner easy to understand and uses only relevant and essential information required to trade shares on the stock market. For more update, follow us on Twitter. We're all taught that it's good to save some for a rainy day but simply setting a side a portion of our income is not going to cut it nowadays, what with the inflation always rising. It's not just for the rich. You don't need to have thousands of cash first before you can start dabbling in the stock market. All you need is the courage to endure the rise and fall of your savings. Keep in mind that investing is not something that quickly pays off. It requires time and patience so you have to be really committed in the idea that the money you set aside must be left to grow. Find an adviser. Seeking the advice of someone who's well-versed in his area of expertise is always a smart move. An investment advisor or a stock broker navigates the ins and outs of investment on a regular basis so partnering with one can help you greatly. Getting this choice right will make a big difference on what kinds of investments you can access, how much commission fees you need to pay and a ballpark figure of the eventual payout you'll get. Be wary of brokers who are not willing to go down to your level and teach you the basics as they might take advantage of your ignorance. Stick with the basics first. Before you engage in volatile stocks that tend to move drastically, it'd be better to start with the staple ones to get a feel of things. It's not wise to enter the stock market with a get-rich-quick mindset so test your patience with stocks that you can hold on a long-term basis and with minimal risk. Consumer stocks like those in the medical, apparel or food industry are considered relatively safe because no matter the circumstance, people will always need those commodities. Just don't expect very high returns soon. Place your eggs in multiple baskets. Diversification is a common tactic in investing as mentioned by Corliss Online Financial Mag, mainly as a means of insurance against unexpected events. So in case that one of your investments drastically fell, you won't lose everything. Start investing now. The world of investing might be a little daunting for a first-timer but you have to start somewhere, right? Armed with a basic knowledge of the whole thing and a reliable broker, you might realize it is worth your time after all and prevent the common pitfalls beginners often make. The soonest time is now so never mind that you're still young -- in fact, you're in the best position to invest. Just set aside a fixed amount that you can realistically do without and it can give you returns in the years to come. The earlier you start the more money you can end up with. WASHINGTON--Om du inte får i tillräckligt shopping under lång semester helgen, kommer du vara glad att slå mer försäljning på Cyber måndag. Måndagen efter Thanksgiving är seriös verksamhet. Förra året, klickade konsumenterna sig till mer än $2 miljarder av Cyber måndag inköp online. Handla bara på säkra Internet-anslutningar: inte bedriver någon transaktion som innebär personliga, finansiella eller kreditkortsinformation när du använder en öppen och oprioriterade Wi-Fi-anslutning. Osäkrade anslutningar är vanliga i offentliga utrymmen som transportnav och kommunala hotspots och i butiker och kaféer. Vara försiktig med att shoppa, göra affärer eller skicka känslig eller personlig information ut på dessa nätverk, eftersom identiteten tjuven ofta staka ut öppna nätverk söker offer. Shopping och andra aktiviteter som involverar känslig information kan utföras säkert lösenord-beskyddat trådlösa nätverk, virtuella privata nätverk (VPN) eller hårdkodade Internet-anslutningar. Endast behandla betalning på HTTPS-webbsidor: när du anger information om betalning online bör du kontrollera att HTTPS är i adressfältet att skydda dig mot identitetstjuvar och cyberbrottslingar. Webbadresser som börjar med https:// i stället för standard http:// skyddas av SSL, Internet security protocol. Webbsidor serveras över SSL skydda dig genom att kryptera känslig information, till exempel kreditkortsnummer, under transaktionen. Inte luras av förväxlingsbart hemsida och domän namn: ägna särskild uppmärksamhet åt din återförsäljare URL när du handlar online. Bedragare använder varianter av kända företagets Internet-adress att försöka lura användare besöker falska webbplatser. De ofta mål användare via e-post eller sociala medier. Undvika att klicka på länkar från e-post eller sociala medier webbplatser. Se upp för webbplatser med webbadresser som skiljer sig från dem som legitima online-återförsäljare, samt länkar som visas äkta men direkt din webbläsare till en helt annan URL. För att säkerställa säker shopping online, Skriv URL-adressen för din önskade återförsäljare direkt i din webbläsare-- och se för stavfel. Skydda dig genom att använda kreditkort: med tillkomsten av point-of-sale malware och skenande personuppgiftsöverträdelser, identitetstjuvar är nu mer sofistikerade och farliga än någonsin. Om du ska göra inköp online, kan du bäst skydda dig från riskerna med identitetsstöld och bedrägeri med hjälp av kreditkort. Kreditkort erbjuder i allmänhet bättre köp skydd och bedrägeri tvistlösning än andra metoder för betalning. Debet kort länk direkt till ditt bankkonto, potentiellt hotar hela kontot. Vissa banker erbjuder också tillfälliga kreditkortsnummer med en uppsättning köpa maximalt, vilket kan vara användbart för vissa transaktioner eller vissa konsumenter. Kom ihåg att kreditkort tar ut höga räntor, så det är bäst att använda kreditkort för endast dessa inköp du har råd. Vara försiktig med alltför-bra-att-vara-true tävlingar och pris kampanjer: konsumenterna bör vara misstänksamma mot alla e-postmeddelanden, meddelanden eller inlägg på sociala nätverk främjande giveaways eller tävlingar som verkar för bra för att vara sant, såsom gratis högt värde presentkort, tabletter och smartphones. Dessa "tävlingar" är ofta bedrägerier för att mjölka konsumenter av pengar och/eller att samla in konsumenternas personuppgifter för återförsäljning. Äkta lotterier och tävlingar är vanligt förekommande på Internet. Du bör dock undvika någon tävling eller kampanj som kräver att du betalar pengar eller utföra någon form av finansiell transaktion. Också, tänka två gånger innan du deltar i kampanjer som kräver aktörer att registrera med flera tredjeparts webbplatser. ofta är dessa knep att bygga utskickslistor. Kampanjer som kräver att användaren anger mer än enkla kontaktinformation kan även vara falska eller drivs av bedragare som säljer konsumentupplysning för att samla in avgifter remiss! Läs finstilt: brett formulerade erbjudanden och annonser ofta vilseleda konsumenterna att betala fullt pris för artiklar som de trodde var på rea. Konsumenterna bör noggrant granska Internet erbjudanden genom att läsa alla finstilta i reklammaterial, identifiera exakt märke och modellnummer till försäljning. Konsumenterna bör också undvika agn-och-switch annonser eller kampanjer som locka konsumenter med källare priser som inte är garanterat att vara i lager. Finstilta anger att kvantiteter är begränsade är en kontrollampa tecken på denna agn-och-switch taktik. Se upp för dolda fraktkostnad: Internet shoppare kommer utan tvekan att hitta bra erbjudanden här semester säsong. Det är vanligt att Internet återförsäljare annonsera priser som inte faktor i frakt och hantering. Detta gör att Internet-återförsäljare prissättning visas lägre än vad konsumenterna faktiskt betalar. Den här julen, bör konsumenterna se till att granska alla frakt och hanteringskostnader innan de bestämmer sig någon online-inköp. När alla kostnader anses vara kan vad du kanske trodde var mycket Internet vara dyrare än din lokala återförsäljare. Corliss Group Online Financial Mag är en aktiebörs utbildning webbplats för att läranybörjare hur man handel aktier. Corliss grupp Online finansiella Mag gör detta på ettsätt som är lätt att förstå och använder endast relevant och väsentlig information krävsatt handla aktier på börsen.